Imagine you were just told you may never speak again....that your doctors didn't think you would ever go back to the career you love. What would you do? Kim lived this nightmare at a time in her life when the world around her was already caving in. This is one of the many inspiring personal stories she would like to share, now hoping to help others find strength and make good choices. 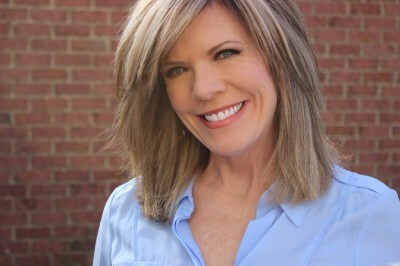 Kim has been a TV meteorologist for 26 years, including a long career at The Weather Channel and recently with CBS46 Atlanta, and despite the odds, can still speak in front of an audience.
" I have been witness to so much change and faced with so many challenges, one being both a woman in the military and in a science field. Survived cancer twice, divorce and being a single mom. I know the challenges of having a special needs child, twins and raising three boys and now looking to use my life lessons to help others"
Book Kim now! She wants to share her stories as they are sure to inspire and bring a smile to your face. Check out each weather topic and and see how it relates to her life. Here you will find the areas she can speak on or she can customize any to suit your organization's needs.